Stuffed vs tech toys: Which should you choose? Deciding which type of toy to buy for kids can be a difficult choice for parents, and the variety of toys on offer can leave them bewildered and confused. The toy possibilities are almost endless for parents these days. There are a countless number of options available, but perhaps the two main choices they need to make is whether they choose a stuffed toy or a tech toy. If you're a parent and you're stuck at a crossroad between these two options, don't fear. Look below as we weigh up the pros of the stuffed toy versus the technological toy. Walk into any toy shop, and you're bound to pick up a stuffed toy and give it a good squeeze. Children find comfort in a stuffed animal, it almost becomes their companion. 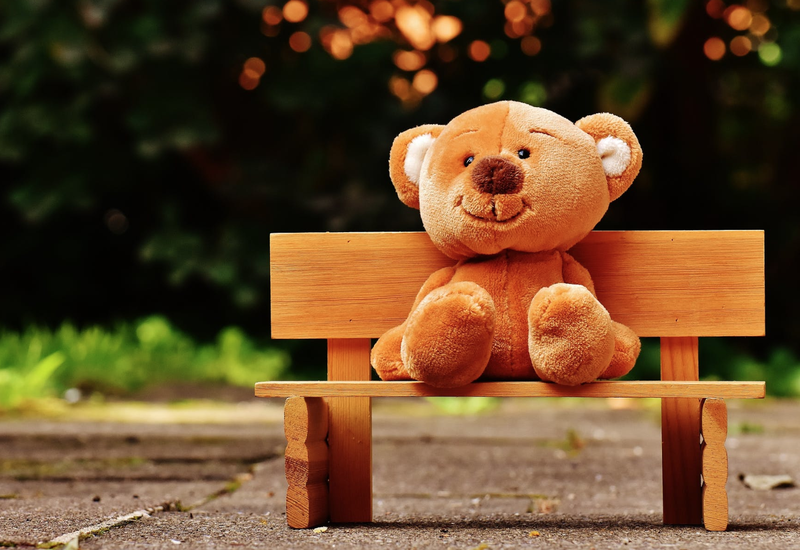 In addition to them being cute and cuddly, stuffed toys allow a child's imagination to run wild - a perfect opportunity to act out their emotions, and learn new skills they haven't really grasped yet, reports Parents World. Stuffed toys help children practice their social skills. It builds their independence and confidence, especially if they take on a 'parenting' role. As you’re reading this, a new technology is being thought of and created. Smart, high-tech toys have become the new must-haves for kids all over. A smart toy gives the child the opportunity to learn tech skills early and have valuable educational elements. New-age tablets, apps, and gadgets for kids are designed with STEM (science, technology, engineering and mathematics) in mind, CBS reports. Parents however need to be aware that a high-use of screen-time can be dangerous if not monitored closely. Tech toys can help with pronunciation. Kids pick up on words spoken by tech toys quickly which is a plus for speech development. The more the child hears the toy 'speaking', the more the child will attempt to repeat the word/phrase. They can have fun while learning. While learning may not be the most fun thing for your child, tech toys are a clever way to tell your child that learning can be entertaining. Tech toys can immerse your kids in technology from a young age. We're living in a digital age, so introducing your child to technology could benefit them in the long run. Most jobs today have a digital aspect to it, so an investment in a tech toy could very well make a significant impact on their future. Stuffed toys and tech toys have benefits, and both can play a significant part in a child's life. The key to choosing which one is best for your child is it understand their needs and what works best for them and their development. While you're out this festive season buying your child their favourite toy, spare a thought for the many underprivileged children in and around KZN who have never had the joy of playing with a toy. You can help ensure that they too have a toy story to tell by donating a toy to this year's East Coast Radio Toy Story in partnership with Toys R Us & Babies R Us. All you need to do to get involved is buy and donate a new toy at any Toys R Us & Babies R Us across KZN by dropping it in the collection box in store, or drop off new toy donations at East Coast Radio House. Alternatively, you can make a cash donation, or donate via Zapper. For more information, click here.